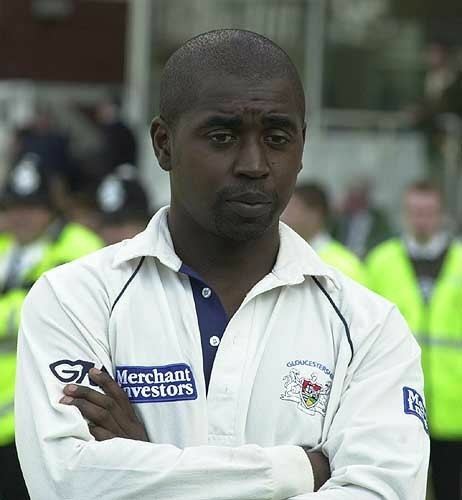 Mark Wayne Alleyne (born 23 May 1968 in Tottenham, London) is an former English all-round cricketer who made ten One Day International appearances for England between 1998/99 and 2000/01. Mostly he batted in the middle of the order and bowled at medium pace, but he has also kept wicket for both England and his county, Gloucestershire. Alleyne impressed early for Gloucestershire, scoring a century for them at 18 and a double-hundred at 22, being in both cases the youngest to achieve the feat for the county. In 2000 he led Gloucestershire to two one-day cups and the National League title, just missing out on promotion in the County Championship, his achievements winning him a Wisden Cricketer of the Year spot. In the ensuing few years he became renowned as a leading tactition in the one-day form of county cricket, leading Gloucestershire to 4 one day knockout cups in 6 years. In 2001, however, his performances fell away somewhat, especially with the bat, and Alleyne relinquished the captaincy to Chris Taylor in 2004. Indeed, he played just four county matches that year and did not make his first appearance in 2005 until 10 June. He replaced Jack Russell as captain in 1997, and in 1999/00 made his England debut against Australia at Brisbane. After coach John Bracewell left Gloucestershire Cricket Club to join the New Zealand Test Team, Mark took over as Head Coach at Gloucestershire between 2004 and 2007 narrowly missing out on the Twenty20 title in 2007.He stood down as coach by mutual consent in February 2008 with nine months of his contract remaining. Alleyne then took up coaching at the National Performance Centre at Loughborough,where he coached the England Under-15s. In February 2009 he has been named as the new MCC head coach, succeeding Clive Radley, who retired after a 48-year association with Lord's. 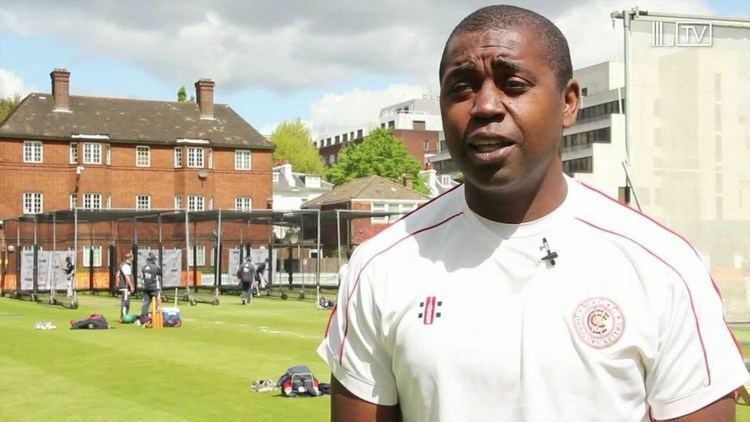 Alleyne was awarded the MBE for services to cricket in the Queen's New Year Honours list for 2004. He is also Chairman of the Professional Cricket Coaches Association.